What is It (not manna)? On top of this regular programming, we broadcast full-length sermons, relevant seasonal content, and special messages from church members all over the world, as well as congregations across the globe. This radio station is the work of love of many Christians all over the world, but found it's start with Katie and Elijah Bell, a married couple while attending Bear Valley Bible Institute in Denver, Colorado. 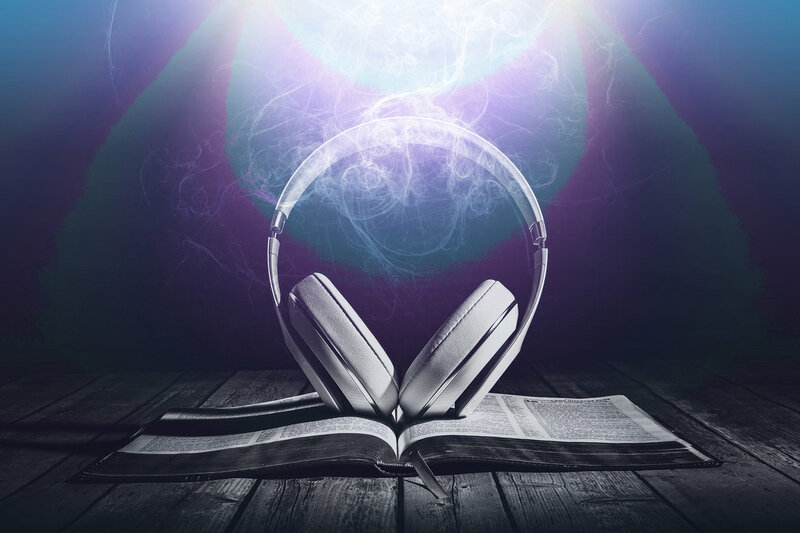 While on long car trips, they would often try to find something clean to listen to, and would often gravitate toward "Christian" radio stations, but found them not biblically accurate, and they did not have any church hymns on them. This sparked an idea: a radio station for the Lord's church which consists of 24-hour broadcasting of material that will inspire Christians to live for Christ every day, something that can be listened to by families without worry of anything impure or biblically inaccurate. Something that Christians can listen to each and every day in order to keep their minds focused where they need to be- on Christ! This idea birthed MyChurchOfChristRadio in order to inspire Christians all over the world to be better people, every day! The single greatest purpose of this radio station is to allow Christians to remain focused on the prize of the upward call of Christ Jesus! The idea is that if you eliminate other forms of media, such as worldly radio and TV, and only consume that which uplifts, edifies, and encourages, then it becomes much easier to have your eyes continually "fixed on Jesus." A secondary goal of this radio station is to provide an element of unity to the body of Christ by allowing members from all over the world to contribute material such as non-instrumental hymns, and devotionals of their own for the mutual edification of the saints. If you have something to contribute, please contact us on the "contact" page. If you want to keep your mind totally focused on our Lord Jesus Christ, then this is the radio station for you. It has nothing but inspiration hymns, provoking, life-challenging devotional thoughts, and strikingly powerful Bible readings all day. You can listen on any device. Dozens of people contribute material to the station from many places for the mutual edification of the saints. You can allow the station to be broadcast from ANY webpage, even yours! Visit the page entitle "Broadcast From Your Webpage" for more information. You can contribute material to be played on the air! Contact us for more details. MyChurchOfChristRadio is a non-profit ministry, paid for by faithful brethren to edify the body of Christ every day. The more you listen, the more edification you receive, and the more focused you become on living the Christian life. Contributors and their webpages can be found on the "Links" page.